I’ve discovered your album doctor drums and the ragtime kidd, and i’d love to buy it, but can’t find it, so i’d like to know who was the producer so i can go on its site to buy it! My apologies Paul, I just realized I never replied to you. The album was recorded in the Queen’s University Music Studio in 1988 and was sold from our gigs as a bandstand recording. The only tracks we are allowed to sell digitally are those that fall under public domain. 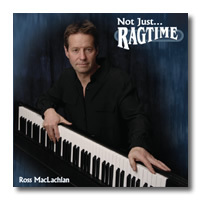 Those are available at CD Baby http://www.cdbaby.com/ by doing a search for Doctor Drums and the Ragtime Kidd. Hope this helps.